Set off to hike up into the hills to take some pictures of the town. After quite a bit of a hike, I found a rail car that looked like a better option. When I climbed back down, I came across an old church with a rook attached to it! Past this point, there was an area with a large number of small shops. When I got to the playing site, I was paired against a lower rated opponent and had Black. I felt very tired either from all the hiking or residual jet lag (probably the latter) and couldn’t make any progress. 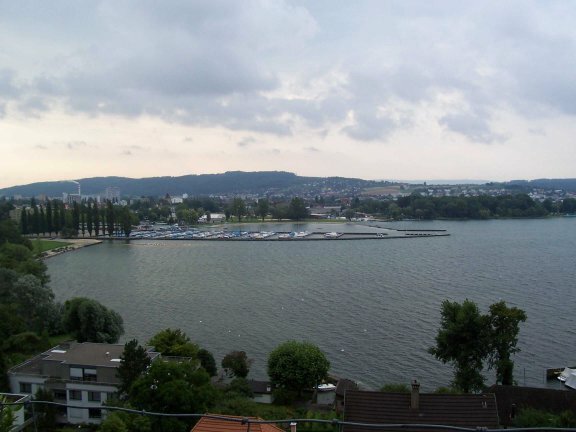 He offered a draw on the 22nd move and while I didn’t want to come all the way to Switzerland to take short draws, he did have the better position and I didn’t see any way I could win. 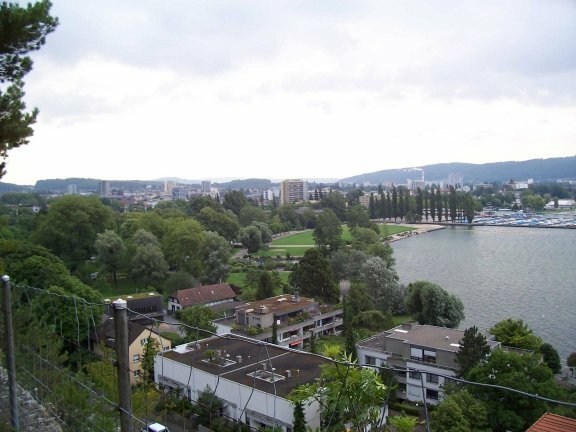 View of Biel Switzerland. The large building in the center is home to Rolex. 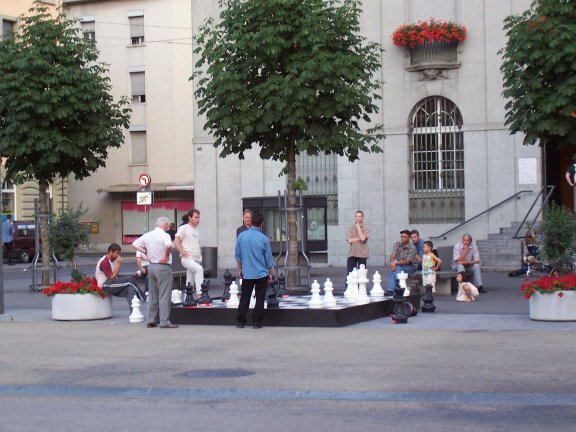 People playing on large chess set.